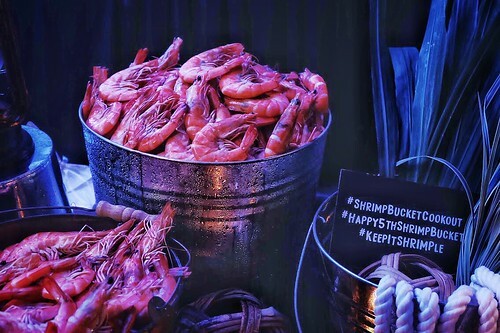 Imagine digging in and getting your hands dirty with your favorite shrimp on a laid-back ambiance under the stars? It’s exactly what we had during Shrimp Bucket’s cookout. The event was held on an open area parking space somewhere in BGC, wooden benches and tables were laid out and we can feel the crisp evening air while enjoying our food. 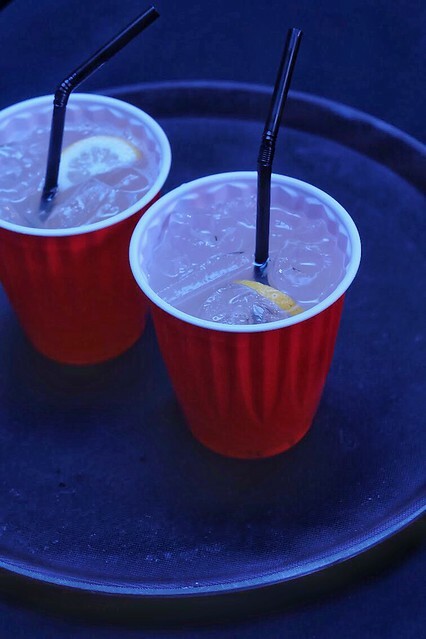 It’s the ultimate laid-back setting. What’s a cookout without good music? 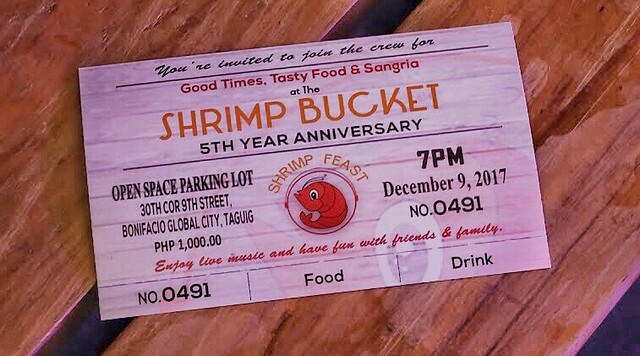 Filipinos love seafood and music, and it’s just the perfect combination during the event. Guests were treated with great performances before the food was served. Aside from serving buckets of the best shrimp in town, the event had lots of games and contests for their guests to enjoy. Our favorite contest was the one wherein people will upload their best photo of their food on Instagram, the photo with the most likes after an hour will win! There are also other options for people who already had too much shrimp. 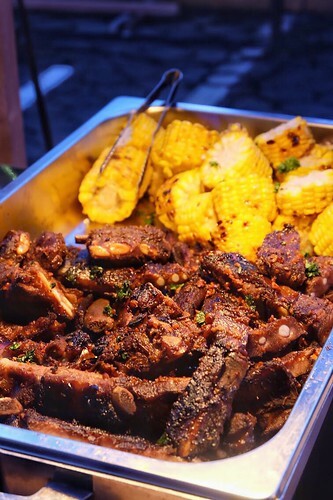 Ribs, pork belly and fried chicken can be found at the “Grill Station” and “Fry Station” stalls at the event. We admit to indulging on yummy pieces of chicken wings with a side of thick-cut fries. 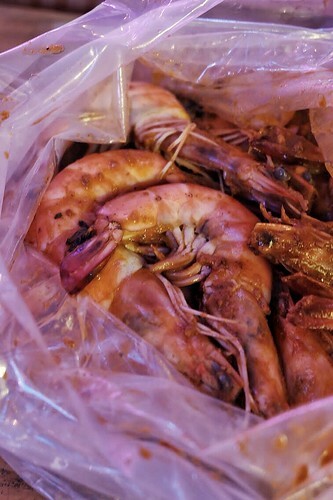 Why of course, the star of the evening – SHRIMPS! 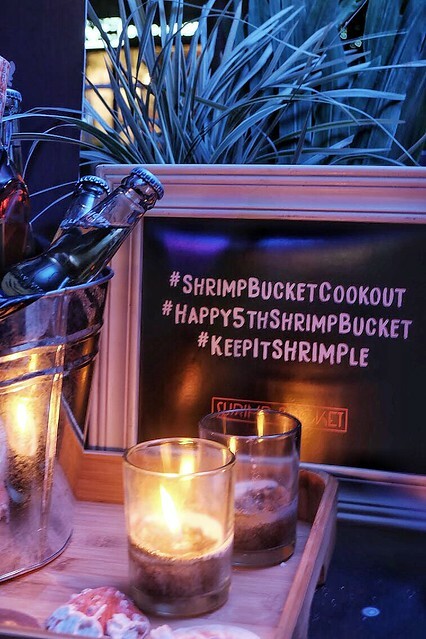 We’re fairly certain many would agree that Shrimp Bucket serves the best shrimp in the metro. They serve it fresh and tasty. We got to enjoy buckets of it with three of their signature flavors – Mardi Gras, Salty Eggsperience and Sebastiana. Other mouthwatering flavors are available when you visit their stores: Coco-Sol, Coco-Curry, Frenchy Lemon Pepper, Sumatran Surprise and The Spaniard. Our (forever) personal favorite would be the Mardi Gras and Salty Eggsperience. Thank you Shrimp Bucket for the awesome cookout. If you haven’t been to one of their seven branches across the metro, definitely schedule a visit!